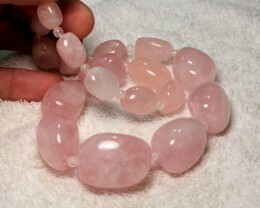 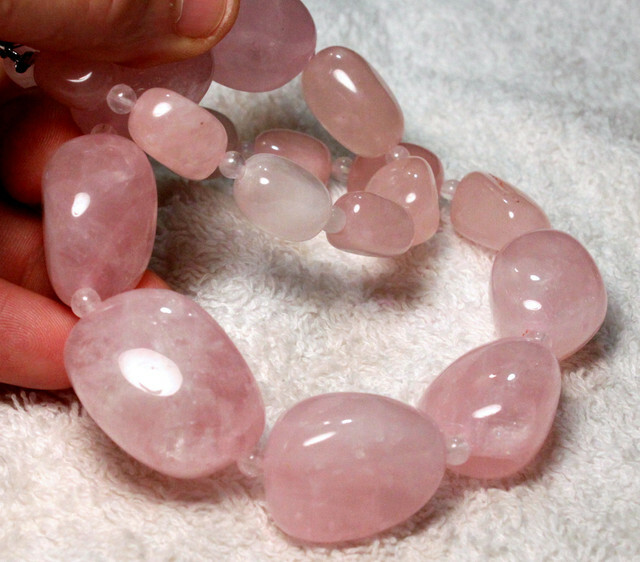 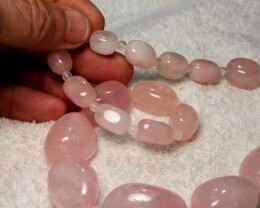 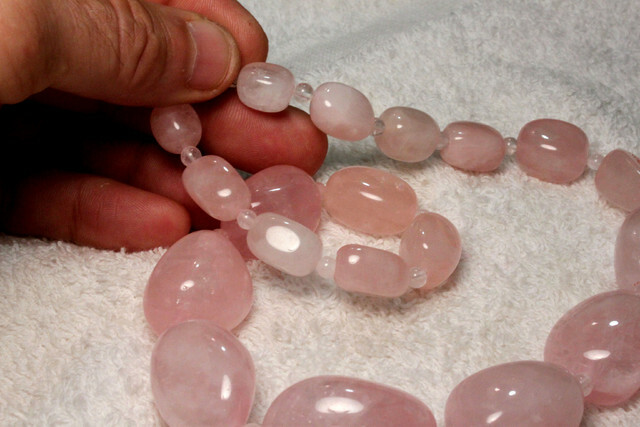 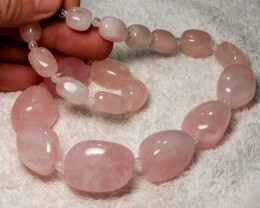 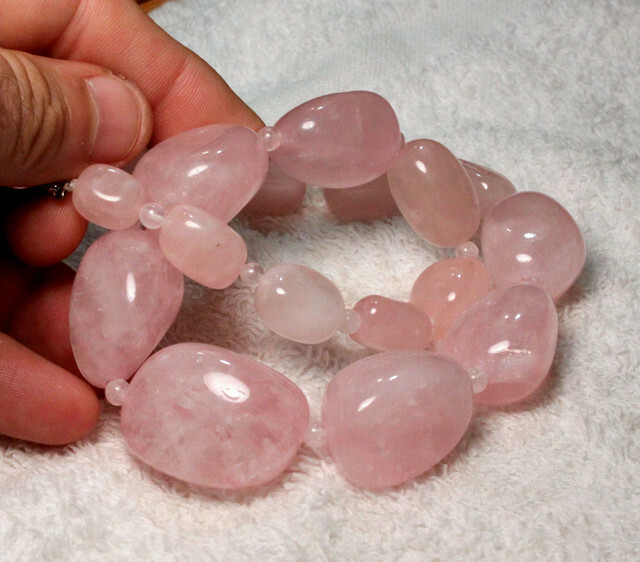 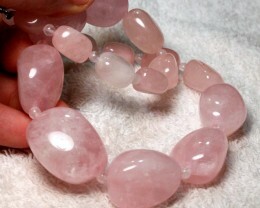 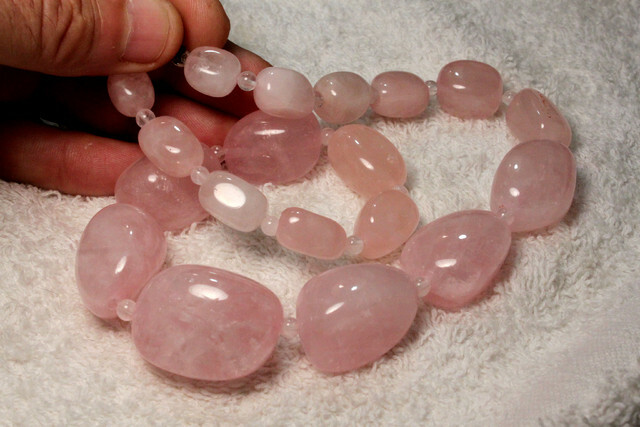 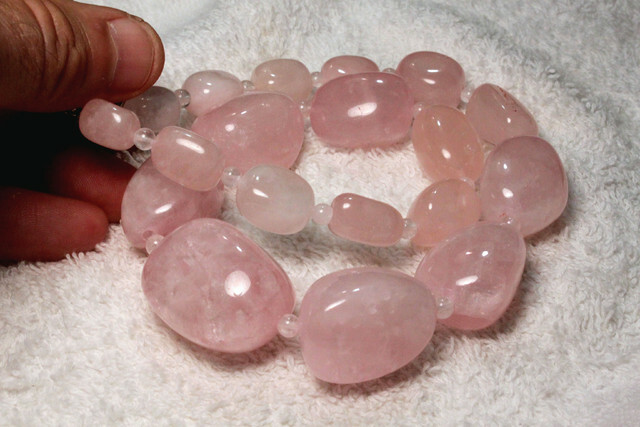 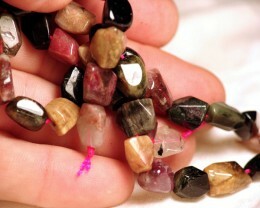 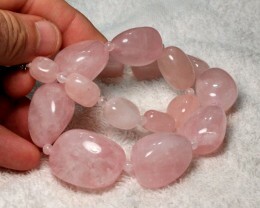 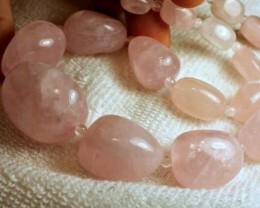 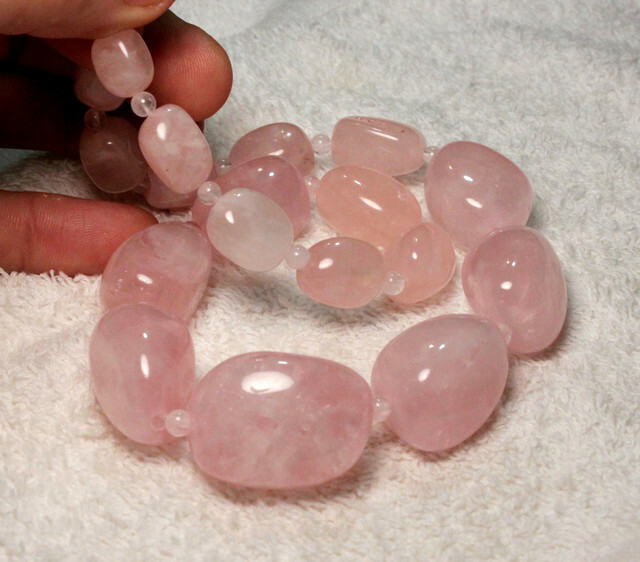 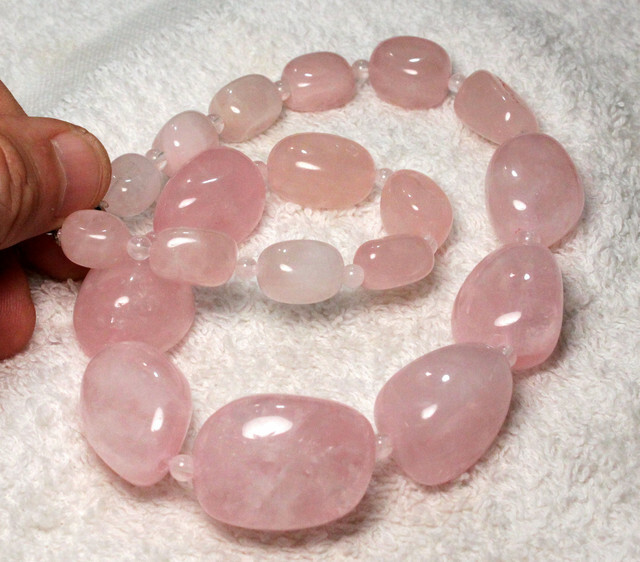 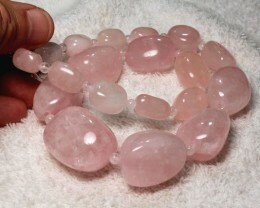 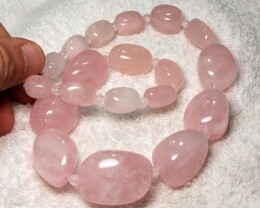 South American Rose Quartz Strand. 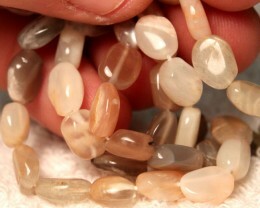 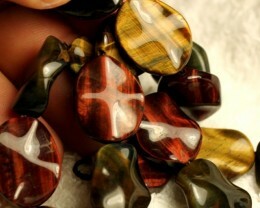 Natural, untreated, highly polished stones. 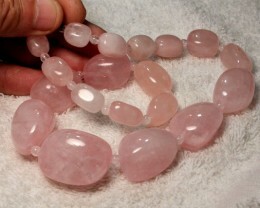 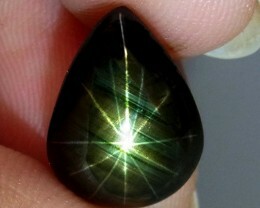 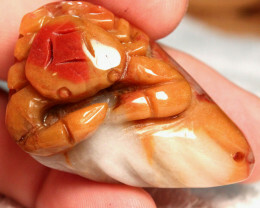 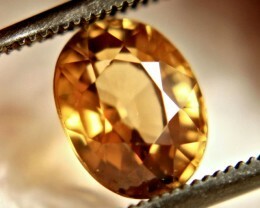 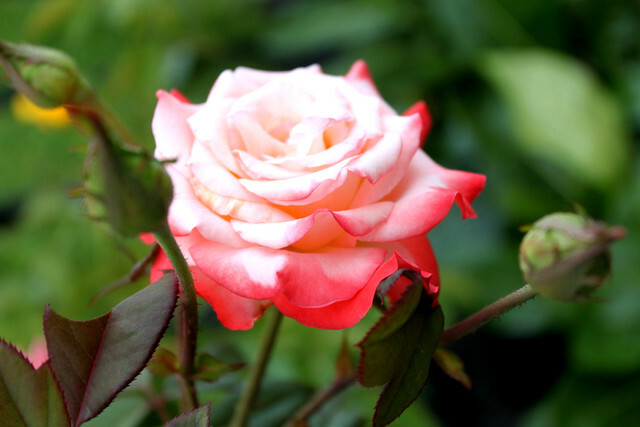 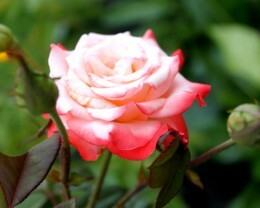 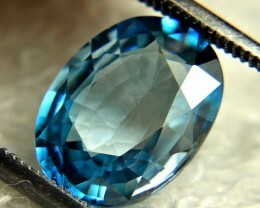 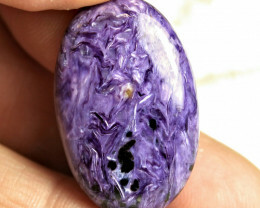 largest stone is 32mm by 24 by 27.